Of all the pumpkin beers out there, I finally found one on the shelf that we hadn’t reviewed yet (after buying several that we already did). As usual, the label caught my attention first. It’s a grizzly bear with some weirdo with a bow and arrow riding on his back, riding around in a pumpkin patch. 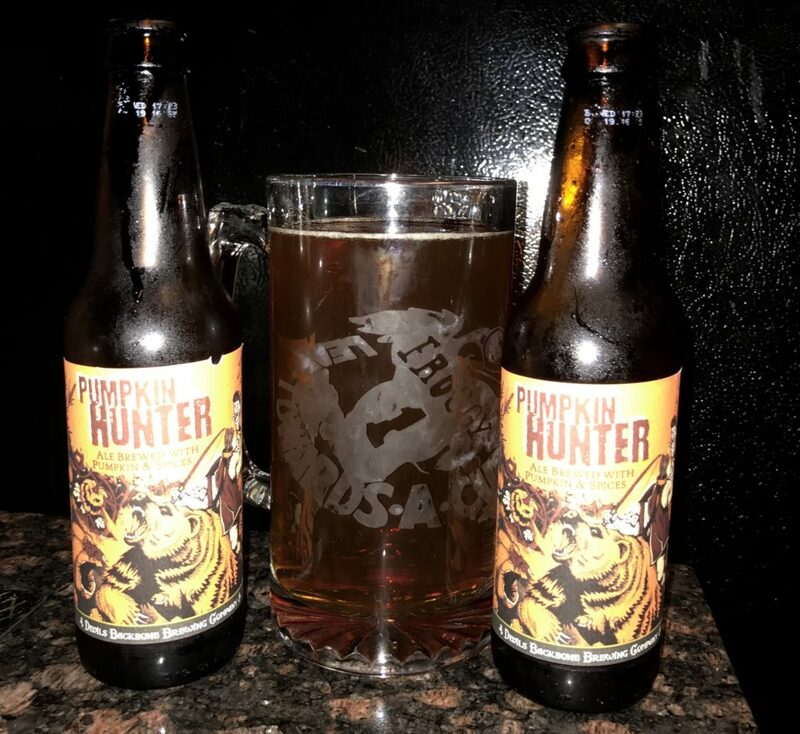 So here we are reviewing a beer – Pumpkin Hunter by Devil’s Backbone – that sounds way cooler than it ultimately tastes. While far from a bad beer, it’s missing the punch that sets it apart from good pumpkin beers. It’s definitely got the autumn spice going for it, but too light for my pumpkin-craving tastes. While I’ll down this six pack without a problem, I’ll certainly return to hunting other pumpkin beers (hopefully while riding a bear and shooting a bow and arrow) next time. 5.1 alc. 3 stars.